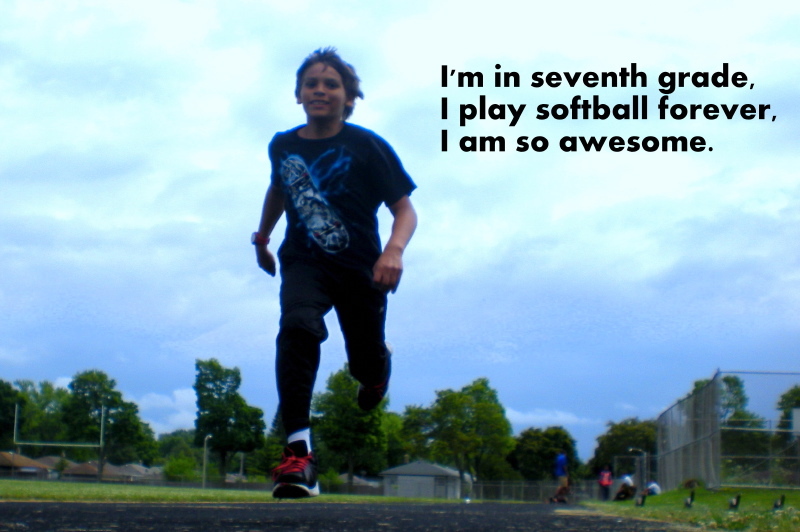 I recently finished teaching a 4-week children’s photo-workshop for the Milwaukee Rec Dept. The main push of the workshop was to encourage a higher level of visual mindfulness in the students -to get them to see more thoughtfully, when it comes to making photos. Each day we would look at photos, make more photos, then import them to the computers at the school and do some basic editing with Google’s Picasa. I strongly believe though, that no creative venture exists in a vacuum, and the more varied ways a person expresses their creativity, the more their creativity will grow. To that end, I also had the students go through some guided meditations (I read from Thich Nhat Hanh), do some drawing, and write some haikus. Also, many of the students looooooooved making selfies, but had a more challenging time allowing other students to photograph them. Rather than tell them they >couldn’t< make selfies, I decided to make that a project of its own. 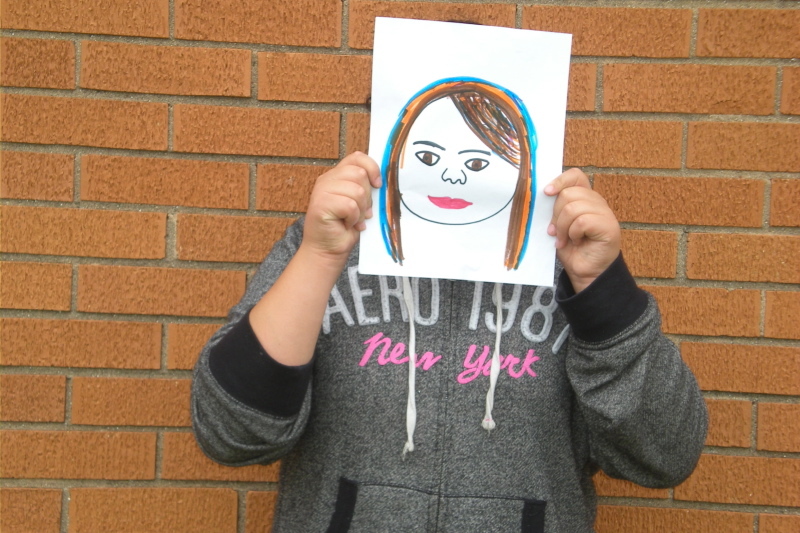 One day, students had to choose their favorite selfie … and then draw it with colorful markers, and then make another selfie, but this time with their drawing replacing their face! The emphasis was on just trying their best – as I would often hear “I can’t draw” or “I’m bad at drawing”. I would not accept that – and just told them “It’s not about whether or not it’s accurate”, “just do your best”, “everyone can make a mark – make yours”, “don’t worry – just go for it”. and is wonderful to meet. and is as soft as a bunny. That’s why she’s my friend. This shoe has certain texture and image. Also, I recently wrote a guest-post at The Good Men Project, for their “100 Word On Love” series. You can read it HERE. What do you write poems about?